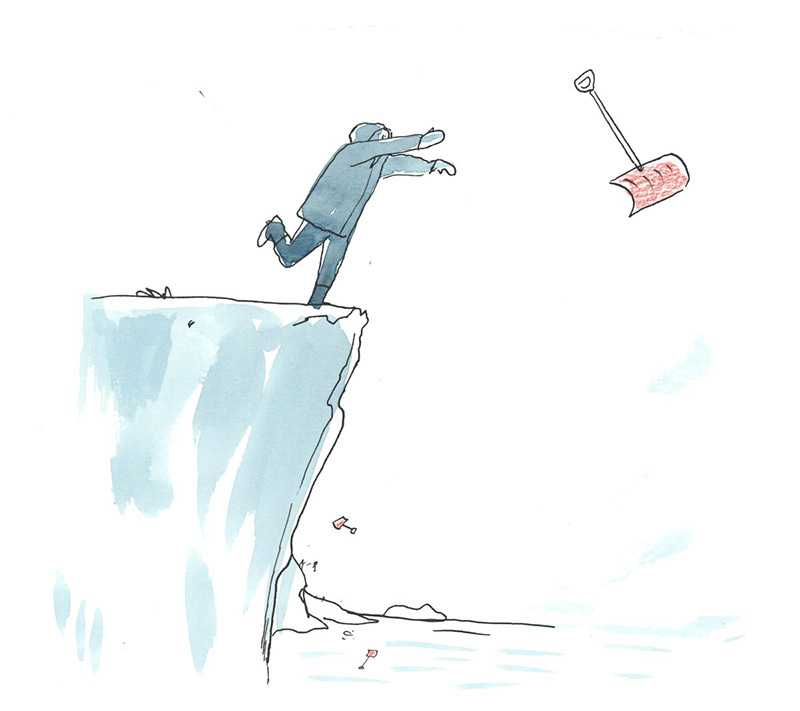 The 8 Friends Every Woman Needs to Survive Motherhood – Check out Hye Jin Chung’s latest illustration for The Girlfriend, a weekly newsletter from AARP for women 40+. Dinara Mirtalipova’s Equilibrium Goddess limited-edition art print is available at Pottery Barn to celebrate International Women’s Day. Pottery Barn collaborated with Women Who Draw and will donate 20 percent of the proceeds to HERproject, a non-profit that strives to empower low-income women working in global supply chains by providing them with resources for health, financial/economic stability, and gender equality. Red Nose Studio’s artwork can now be seen on new library cards for Hancock County Public Libraries in Chris’ hometown of Greenfield, IN. 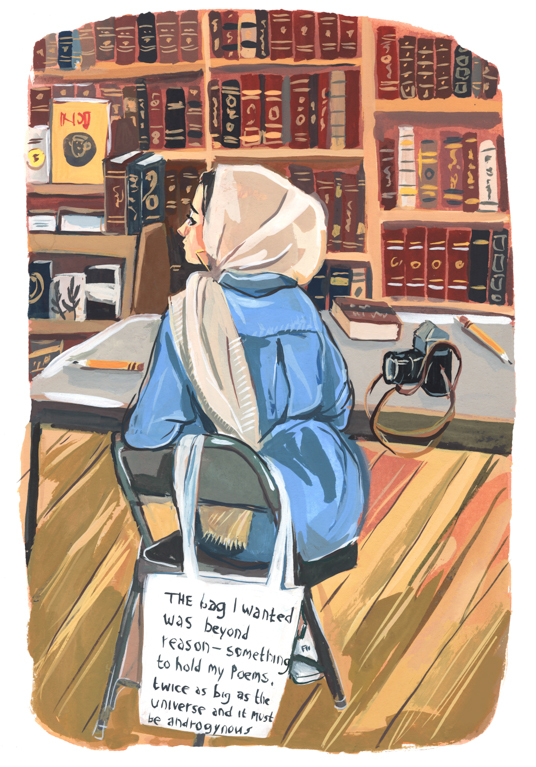 The sculpture featured in the illustration will also be part of the library’s permanent collection, encouraging patrons to reach new heights with books. See Chris’ blog for more photos. 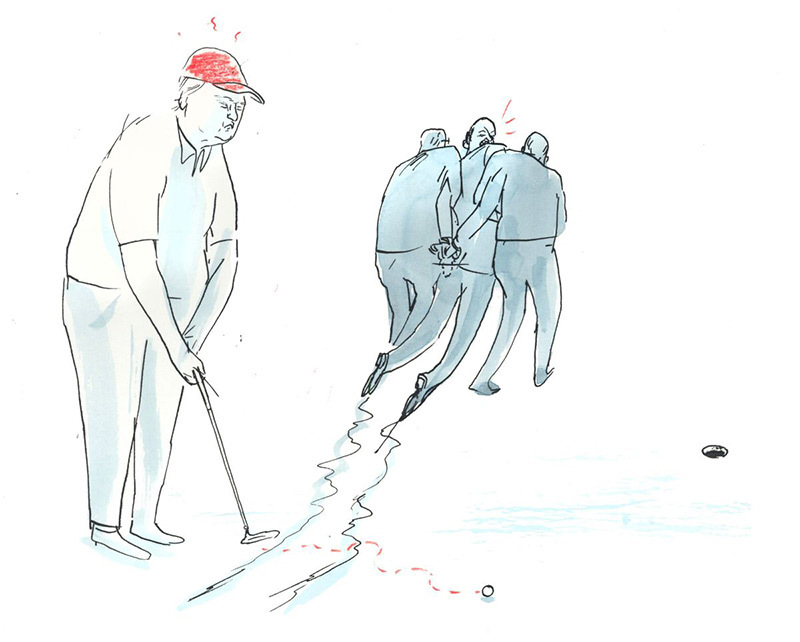 Big congratulations to Camelia Pham, Red Nose Studio, and Jenny Kroik, who were announced as winners in Communication Arts’ 60th annual illustration competition. Out of 3, 941 entries, 137 projects were selected by a jury of creative professionals. Camelia Pham will have two series of personal work appear in the May/June issue of Communication Arts. A series of illustrations by Red Nose Studio for Elvis is King! and Jenny Kroik’s Bookstore Series will also appear. Gung Hay Fat Choy and welcome to The Year of the Pig! 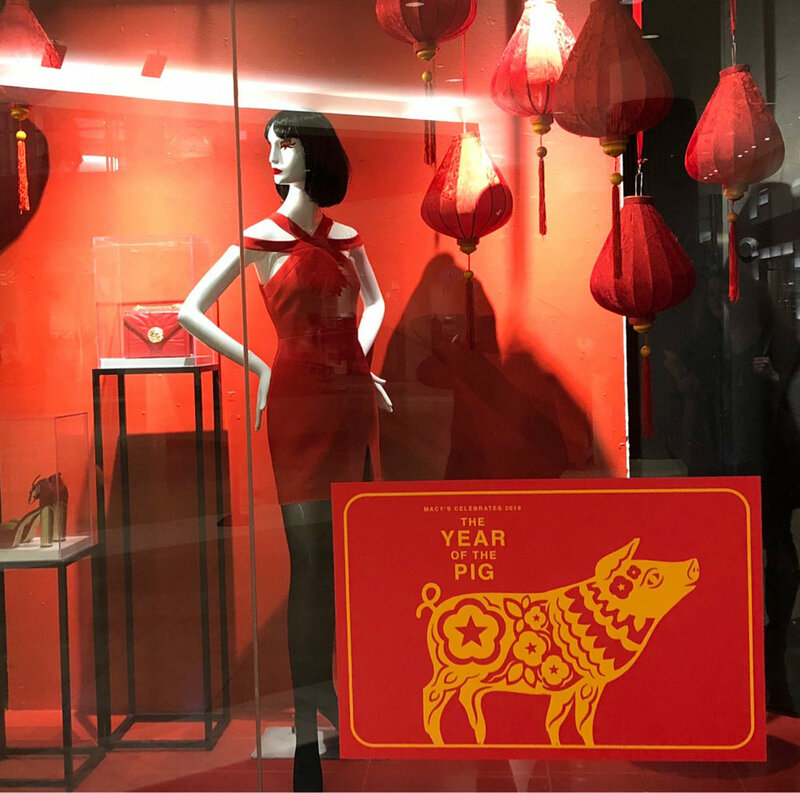 Macy’s Lunar New Year celebration in stores across the country features a very stylish pig illustrated by Eleanor Grosch. Bella Pilar’s latest Valentine’s Day cards feature glittery embellishments and sparkly jewels and are available now from Papyrus. 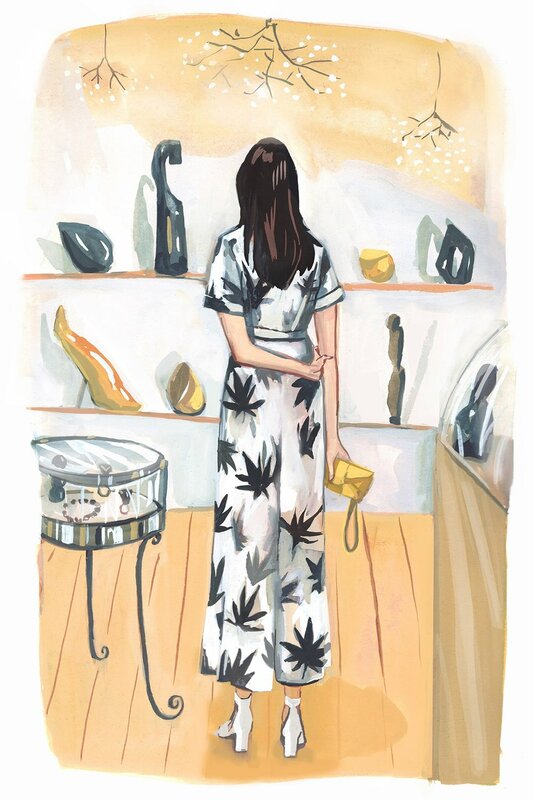 Jenny Kroik’s illustrations are featured in her blog for The New Yorker, A Surprise Ending for Westsider Books. RED NOSE STUDIO: ELVIS IS KING! 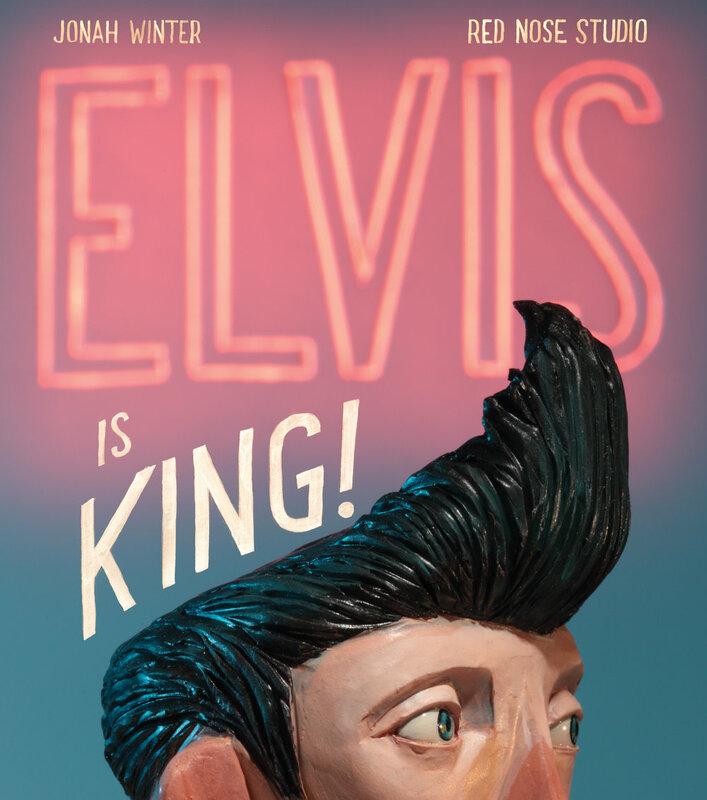 Elvis is King!, the newest picture-book illustrated by Red Nose Studio, was released on what would have been Elvis’ 84th birthday – January 8th, 2019. An extraordinary visual telling of the King of Rock ‘n’ Roll’s rise to a technicolor life, the Schwartz & Wade Books title written by Jonah King has already received critical acclaim. Named one of “THE MOST EXCITING PICTURE BOOKS OF 2019” by Brightly, it was featured as the cover image for the December 2018 issue of The Bulletin of the Center for Children’s Books. 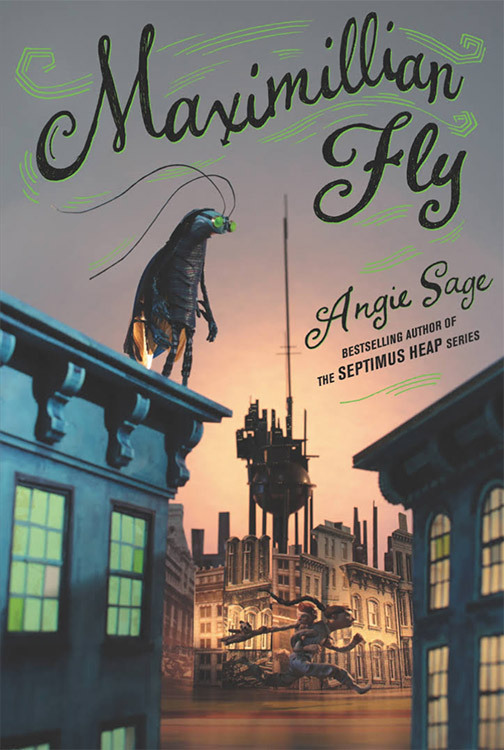 Glowing reviews from BookList and Publishers Weekly Review, and starred reviews from Kirkus and Bulletin have been a thrill. Elvis is King! features a special hidden cover and the book jacket highlights the process and low-tech materials used to create the book’s artwork. Visit Chris’ blog to see sketches and learn more about the illustrations in Elvis is King!, from re-creating Elvis’ signature dance moves to imagining the hardware store where Elvis got his first guitar. Jenny Kroik was commissioned to create a portrait of philanthropists Jan Shrem and Maria Manetti Shrem for the cover of the Nob Hill Gazette’s special ‘A-List’ issue. 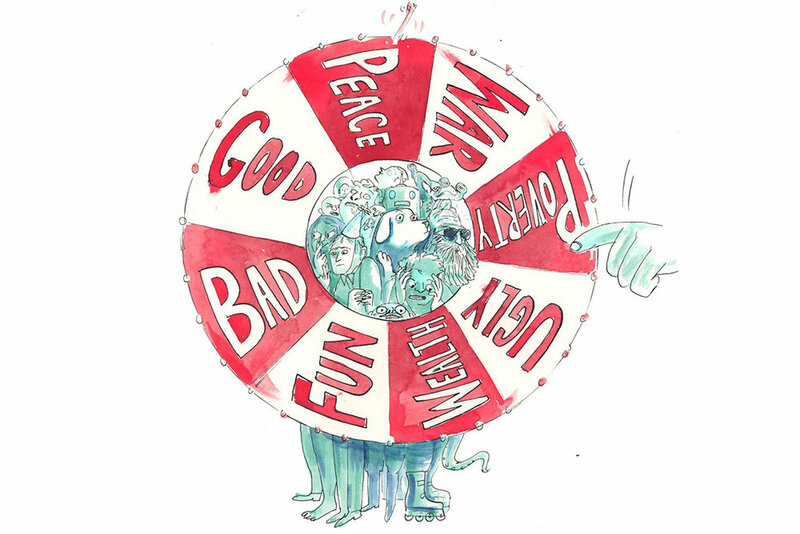 Graham Roumieu and The Globe and Mail ring in the New Year with reader predictions for 2019.